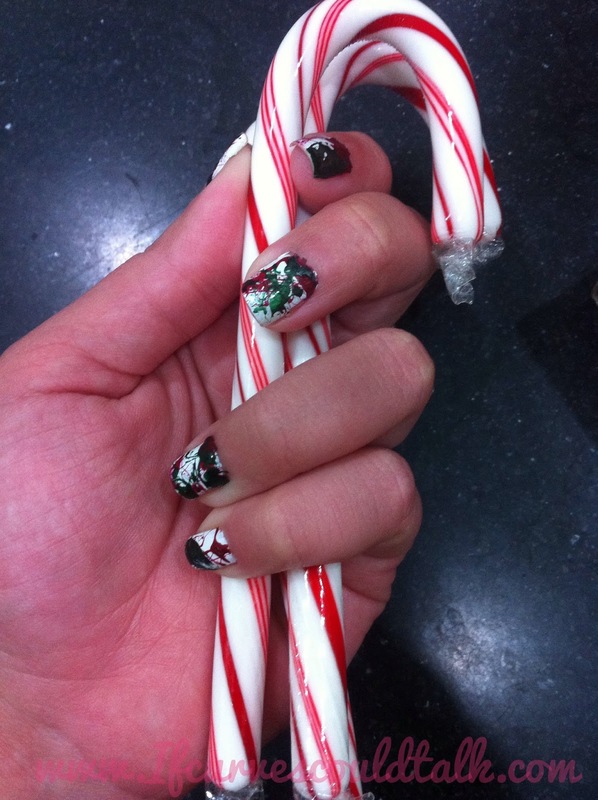 If Curves Could Talk: Nails of the week: Christmas Nails! Nails of the week: Christmas Nails! I know I usually post "Nails of the week" on Sunday's but since Sunday is a holiday and my nails are Holiday-like, I am posting it, two days early. I decided to do white base, with green and red splatter. Don't know how to do splatter? It can get messy! Here are some Messy photos! Are your nails festive for Christmas? I love it! I wanted to do some festive nails. We'll see if I have time. i just saw these on instagram- LOVE THEM! Fabuloso! they look like fun! 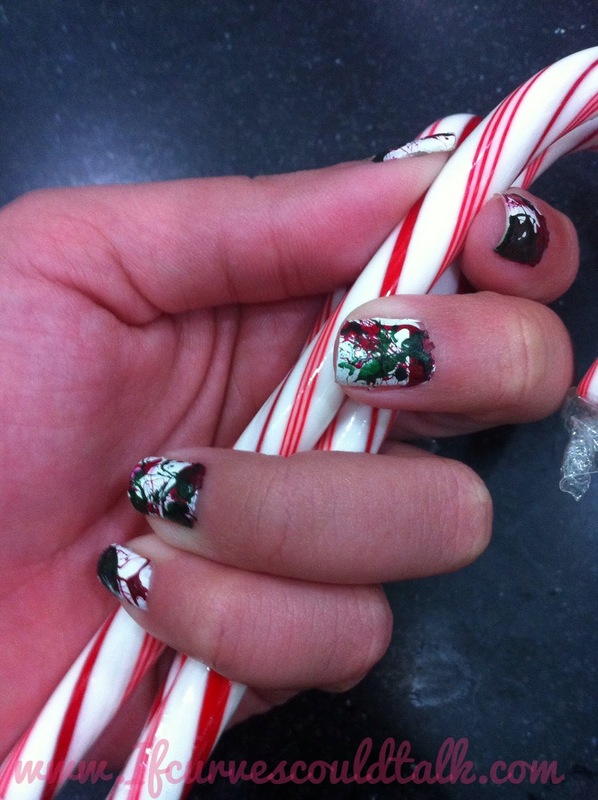 my god, it's perfect to match nails with the holidays spirit, that's awesome!